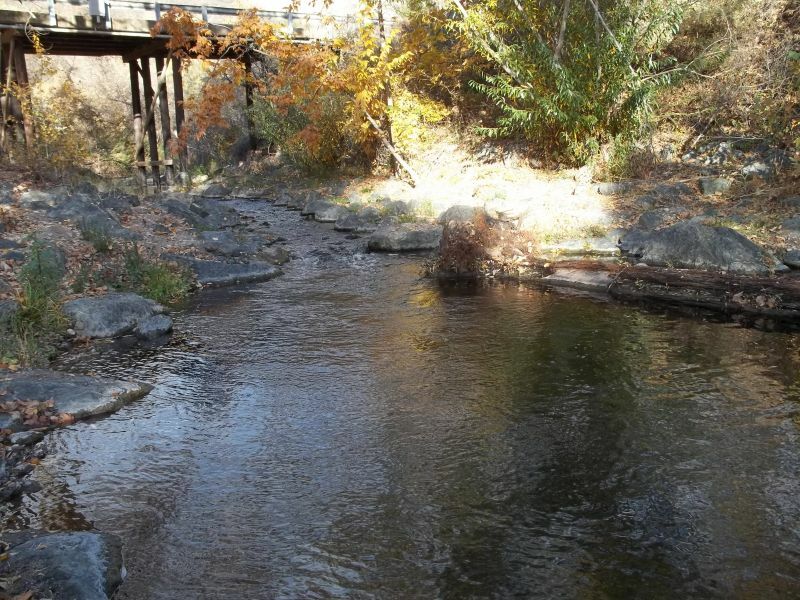 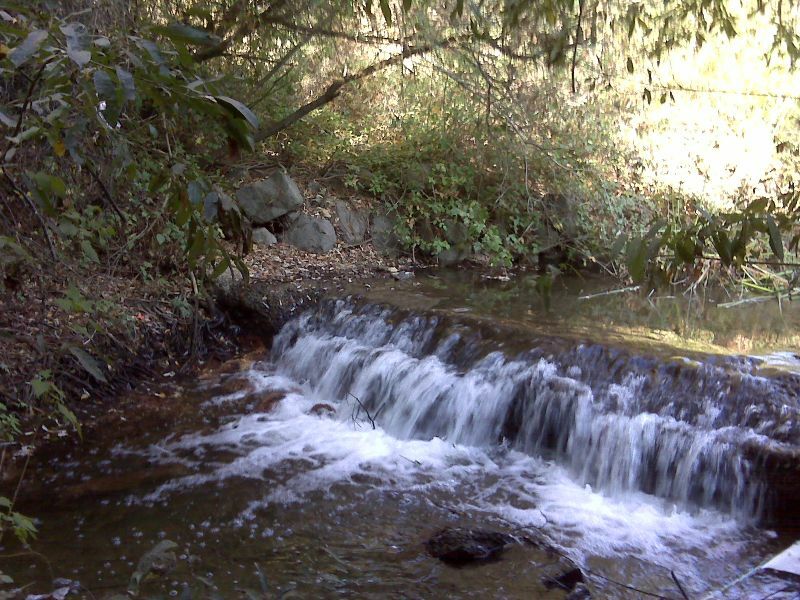 The designs for fish passage improvements and pipeline protection were finalized in 2012 and consisted of the installation of a roughened channel. 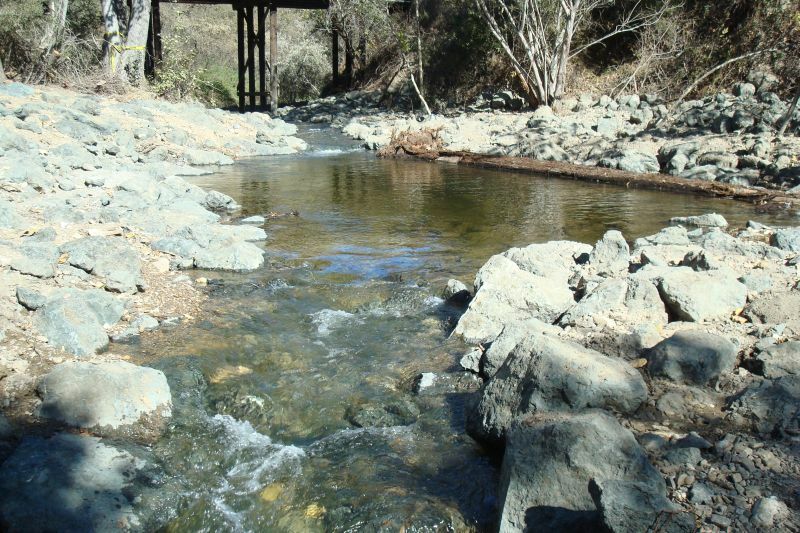 The channel was reconstructed for approximately 250 feet using imported rock to provide a smooth transition in the stream profile and hydraulic conditions conducive to fish passage. 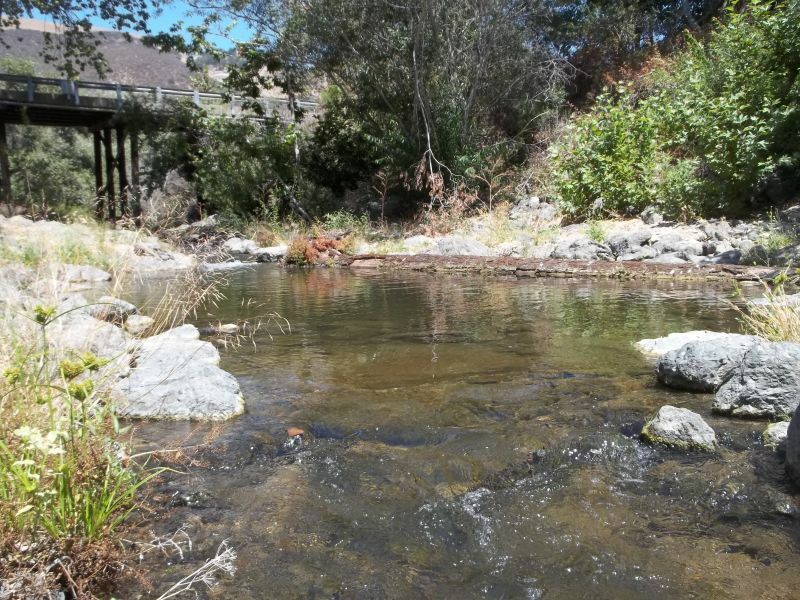 The design incorporated two pools and a woody debris structure to provide resting and rearing habitat. 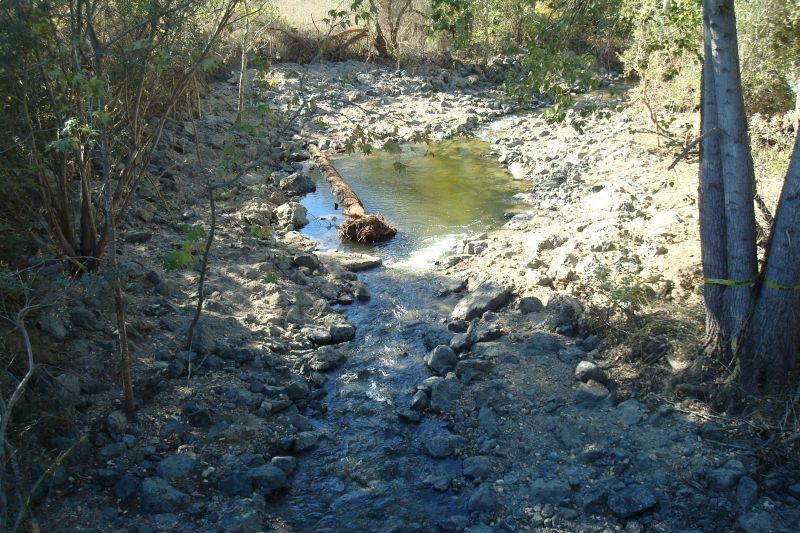 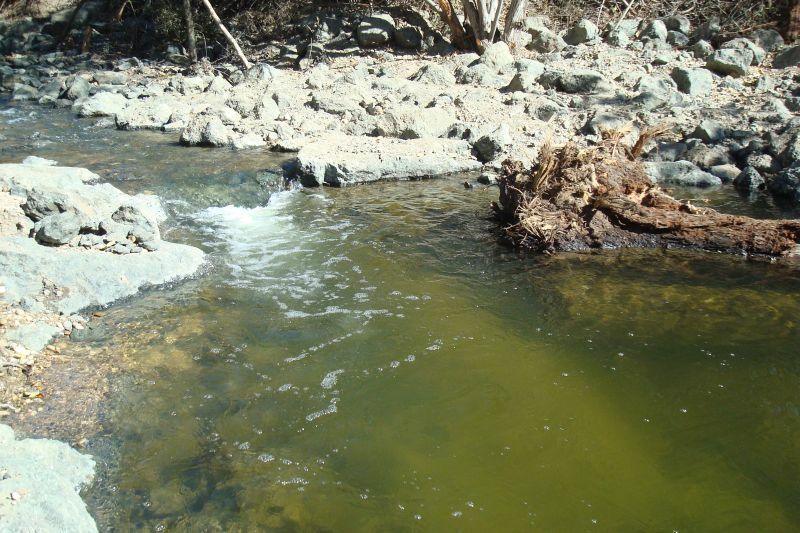 Additionally, boulder weirs were installed to maintain pool scour and grade control through the project area.